Push through a climb, sprint down slopes on a single track, or take a mellow ride through the deep woods. Whatever your speed on two wheels, Maine has outstanding mountain biking. Rent a bike from the Sugarloaf Outdoor Center and chart a course on the Carrabassett Valley Trail System, an extensive network of trails for beginners to experts. Or bike hut-to-hut on the year-round Maine Huts & Trails system and rest in front of the cozy fireplace at an eco-lodge. For downhill thrills on interconnected mountain peaks, Sunday River Bike Park offers challenging terrain and chairlift service. If you&apos;re looking for something a different speed, meander along the Androscoggin River in Bethel for a mellow ride, or enjoy an afternoon of biking, discovery, and beer on the Bike and Brews Tour in Portland, which is sure to satisfy with over 25 craft-breweries in the city, there are beers for every palette. 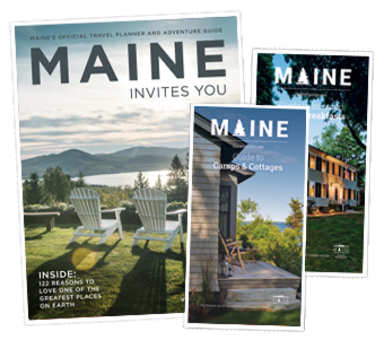 For a scenic route along the coast, discover Portland and the shores of Casco Bay on a bicycle tour featuring the Maine coast and lighthouses.